A beginner’s guide on how to choose the best web hosting for photographers. Learn what is web hosting, what are the different hosting options available to you, and which are the best WordPress web hosting companies for photographers. Are you looking for the best website hosting for photographers? Choosing the best web hosting is crucial for your business. If you’re like most people, then you are probably confused by all the different hosting options that are available. The goal of this article is to help you choose the best web hosting for your photography business. At Envira Gallery, we have helped over 150,000 photographers and artists showcase their work online. With years of experience, we understand first-hand how important it is to choose the best web hosting company. More importantly how important it is for you as a business owner to understand what you’re signing up for. That’s why the #1 goal of this article is to help you make an educated decision when choosing a web hosting for your photography website. As a photographer, you may wonder what is web hosting, and why is it important? In layman’s term, web hosting is space you rent in a computer server for storing and displaying your website on the internet. It is a core requirement for building your photography website in WordPress. There are several different types of hosting options such as: shared, VPS, dedicated and managed WordPress hosting. We will explain all these options for you below, so you can make an educated decision. We will also share our recommendations of the best web hosting companies for photographers. Shared hosting is a popular choice for photographers because it is affordable and easy to setup for beginners. As the name suggests, you are getting shared space on a large server to host your website. This allows hosting providers to improve their profit margins thus offering you the service for an affordable price. It’s a standard practice in the hosting industry to advertise “unlimited” resources, but please know that there are usage restrictions in place. Most small businesses will never exceed them, but if you do, then you will be asked to upgrade your plan. If you are just staring out, then you only need shared hosting. There’s no need to overpay for resources you don’t need. VPS stands for a Virtual Private Server. This is the next step above shared hosting. While you’re still sharing server space, it’s with a lot fewer people, so you have more resources and more control over the server settings. On the other hand, Dedicated hosting is basically a whole server just for your website. These can get fairly expensive based on the size of your website. Since you’re reading this article, then chances are you probably don’t need either of these options. Since WordPress is a fast growing platform powering over 25% of all websites on the internet, it has given birth to a new industry, Managed WordPress hosting. Think of managed hosting as a valet service. 100% hassle-free because they will take care of everything from the performance of your website to security to backups and more. As you can expect, one of the best perks of managed hosting is top-notch support from the most experienced WordPress developers and engineers. On average, it costs 10x more than a simple shared hosting plan, but the benefit far outweighs the cost. Managed WordPress hosting is a good option for all websites (no matter the size) especially when the owner has no technical knowledge or the time to handle web hosting issues. The best way to think of it is, you do what you do best (run your business) and let the hosting experts do the rest. 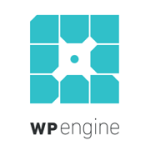 WPEngine is a good choice because they’re the largest managed WordPress hosting company on the market trusted by companies like Yelp, AMD, MyFitnessPal, SoundCloud, and more. If you’re in the market for a lightweight, low-cost WPEngine alternative, try Kinsta. They provide fully managed scalable Google Cloud servers. This hosting provider also offers lightning-fast architecture, free backups, and constant uptime monitoring. Business or freelancer, Kinsta is the best choice for those who want an easy hosting solution for WordPress. Hopefully, by now you understand the differences between each type of web hosting option that’s available for you. To help you make the decision, below are the best web hosting for photographers that we recommend. We have tested just about every major web hosting company in the market. If you do the research, then you’ll find that every company has both positive and negative reviews. Below are the hosting companies we recommend and can honestly say are the best web hosting for photographers. HostGator is an industry leading web hosting company that hosts over 9 million websites. With 1-click WordPress installation, 99.9% uptime guarantee, and 24/7 support, it’s the best for anyone who’s starting out. We host several of our own websites on HostGator. WPEngine is the leading managed WordPress hosting provider. They offer automatic security updates, daily backups, one-click restore points, automatic caching, top-tier security, one-click staging area, and more. If you are a business who do not want to deal with the technical side of running your website, then WPEngine is the solution for you. Kinsta provides scalable Google Cloud servers built for security and speed with lightning-fast architecture, free backups, and constant uptime monitoring. It’s an ideal choice for those who want an easy hosting solution for WordPress, that’s lightweight and low-cost. Now that you have chosen the best web hosting for your photography business, go ahead and build your photography website in WordPress. 55 best free WordPress photography themes. We hope this article has helped you learn how to choose the best photography web hosting. If you like this article, then please follow us on Facebook and Twitter for more free WordPress tutorials.